All the kids in school know, first graders through eighth graders, that if you need something or if you have a problem that needs solving, the only place to go is the boys bathroom in the East Wing. Wait your turn in line, then head to the fourth stall from the high window. For a nominal fee or in exchange for a future favor, Mac will take care of it. Test answers, hall passes, doctor’s notes, video games your parents won’t let you play - you know, normal elementary school stuff - Mac and his business manager Vince can help. But when Fred, a student no more than a third grader, enters the fourth stall, Mac and Vince know the times are changing. Fred requests protection from Staples. THE Staples. Thought to be only a legend, Staples is apparently real and so is his web of connections that infiltrates every school in the city. Staples has an intermural gambling ring that has entered Mac’s school, and Fred was one of the bookies. When Fred told Staples he wanted out, Staples said nobody quits. When Fred threatened to go to the principal, Staples said that would make him a rat, and rats get the worst punishments. So Mac agrees to protect Fred and in doing so begins a war between underground school powers. Can Mac, with help from his school’s nine biggest bullies, rid his school of Staples illegal gambling ring and thereby protect his own business? Or will Staples squash Mac’s business and extend his control in Mac’s school? 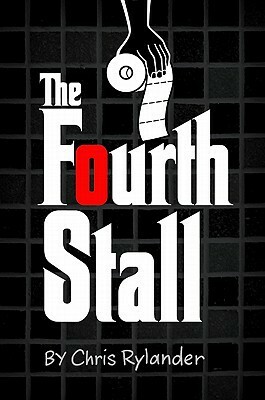 Overall The Fourth Stall is a funny story inspired by The Godfather. “Hits” are ordered (although no one is killed). There’s plenty of hidden cash. 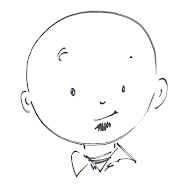 Nicknames abound (Mac’s real name is Christian, plus there are characters named Kitten, Nubby, the Hutt, Great White, and Little Paul).There are also several subplots woven throughout the story. Who is the mole that has infiltrated Mac’s business? Can his best friend and business associate, Vince, be trusted? Can Mac keep his business and family life separate, especially after the attack on his house? Author Chris Rylander also includes a look at poverty and how it affects students. This more serious side of the story explores the differences between the Haves and the Have-Nots and how family circumstances influence a child’s life and decisions. It’s not overblown, not preachy, but does play a role in the story and readers’ will need to take it into account in how they understand and appreciate the story.